Jiffy Airport Parking provides an advantage to airport travelers. We work hard to ensure our customers keep coming back because of an easy and convenient parking experience. We keep cost low, ensure that there are plenty of spaces available and provide new shuttle buses to make our customers more comfortable. We are one of the few airport parking services that offer a customer friendly Loyalty Program. This program is fast and easy to enroll in. For every $100 you earn a free day of parking. Your loyalty card also speeds up entry and exit. With your loyalty card you don’t need to take a ticket and when it’s linked to a valid credit card it’s also all you will need when you exit the parking facility. Our NEW program offers you a one point per day for every 6 days, you’ll earn a free day. That’s right, the 7th day is always free! We offer the lowest prices, the best service, and the best frequent parker program at Newark International Airport. Our shuttle is fast and free to ensure you make your flight without extra expense or hassle. Our parking attendants are here to assist you any time you need it. Our check in and check out processes are streamlined. Eliminating hassle in your parking experience and saving you time. With our free phone app, you can manage your parking, rewards program status and much more. For many finding convenient parking at the airport is stressful and a huge hassle, but it doesn’t have to be that way. At Jiffy Airport Parking our goal is to make things convenient for our customers. You can easily make your reservation online in advance if that’s your style, you can call to reserve a spot or just show up with no reservation needed. 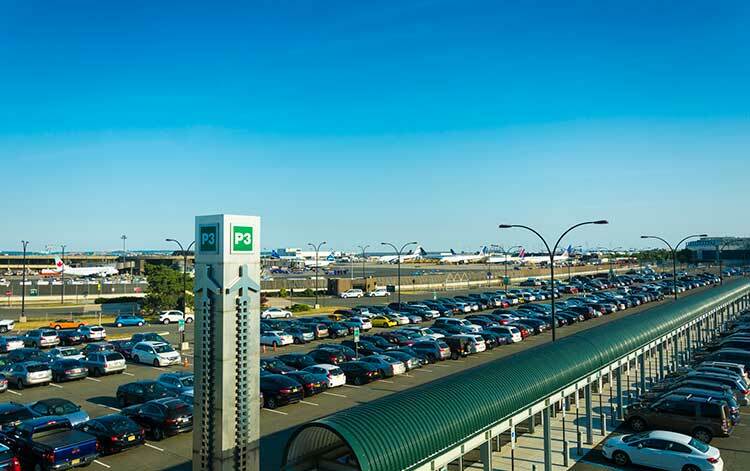 Affordable parking for Newark Liberty International Airport has never been more convenient. Reserve your parking today and experience convenient, affordable and easy parking.